Workshop on Self-Publishing, DECEMBER 13, 2014, 2:00 – 3:30 PM, Coburn Free Library, 275 Main Street, Owego, NY. How to find satisfaction in publishing while exploring the facets of traditional and self-publishing. Will include a book signing. Book Launch, DECEMBER 7, 2014, 2:00 – 5:00 PM, Endicott Visitor Center, 300 Lincoln Avenue, corner of Park Street; adjacent to the Endicott library and municipal building. Stop in for a dramatic presentation, book signing and refreshments. First Friday Art Walk, DECEMBER 5, 2014, 6:00 – 9:00 PM, Gallery 41 at 41 Lake Street, Owego, NY. Take advantage of an evening to meet local artists, including authors, who will be present to discuss their works of art and authors to sign their books. 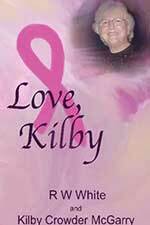 Book Signing for charity, NOVEMBER 30, 2014; 2:00 – 6:00 PM, Sunday afternoon, The American Legion Post 80, 76 Main Street, Binghamton, NY for ACCORD’s Shop-A-Palooza. Please stop by for your one-stop, holiday shopping and to support ACCORD. Author Event and Book Signing, NOVEMBER 18, 2012, 9:00 AM – 3:00 PM, Elks Emporium, Church Street at Front, Owego, NY. Please support the annual Owego Rotary Craft Fair (doors open at 8:00 AM), stop by to say hello and browse through my books on local history and events. Featured Artist of the Month of September, Gallery Forty-One, 41 Lake Street, Owego, NY. 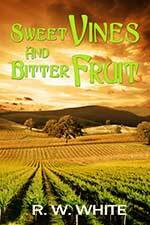 Author Event and Book Signing during the Third Friday Art Walk, SEPTEMBER 21st, 2012, 5:00 – 8:00 PM, in the Gallery. Stop in and join with others during the Art Walk, meet and talk with local author, R. W. White, and enjoy light refreshments. Author Event and Book Signing, JULY 21 & 22, 2012; 11:00 – 3:00 PM each day; Browsers-on-the-Square, Hammondsport, NY. Enjoy a summer weekend on Keuka Lake at the Antique Boat Festival and stop by Browsers Gifts and Books to say “Hello,” 33 Shethar Street. 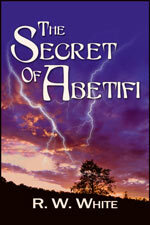 Book Launch, JULY 15, 2012, “The Secret of Abetifi.” The Bundy Museum, 127-129 Main St., Binghamton, NY, 2:00-5:00 PM. 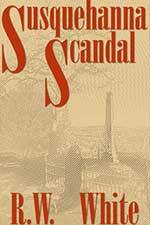 Presentation, Discussion and Book Signing, MAY 22, 2012: Skaneateles Historical Society, “The Creamery,” 28 Hannum Street, Skaneateles, NY, at 7:30 PM. I think I’ll get there early to sample the creamery. Author Event and Book Signing, OCTOBER 8 & 9, 2011, Columbus Day holiday weekend: Browsers-on-the-Square, Hammondsport, NY, 11:00 – 3:00 PM. 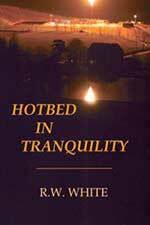 Author Event and Book Signing, OCTOBER 8 & 9, 2011: Columbus Holiday Weekend, 11:00 – 3:00 PM on Saturday and 10:00 – 1:00 PM on Sunday: Browsers-on-the-Square, Hammondsport, NY. Enjoy a colorful autumn weekend in Finger Lakes country and beautiful Keuka Lake. Visit the area wineries, the Glenn H. Curtiss museum, and don’t forget to stop in at Browsers Gifts and Books and say “Hello,” 33 Shethar Street. Author tour of the United Kingdom and France, September 2011. 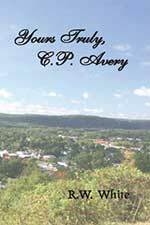 Author Event and Book Signing, JULY 16 & 17, 2011: Browsers-on-the-Square, Hammondsport, NY, 11:00 – 3:00 PM. 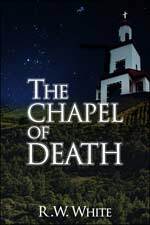 Book Discussion and Signing, JULY 7, 2011: Sherman Free Library, Church Street, Port Henry, NY, 6:00 – 7:30 PM. Book Discussion and Signing, JUNE 19, 2011: Buffalo Street Books, DeWitt Mall, Ithaca, NY, 3:00 – 5:00 PM. Author Event and Book Signing, JUNE 18, 2011: Tioga County Historical Society, Owego, NY; First annual Authors of Tioga County History event, 1:00 – 3:00 PM. Book Discussion and Signing, APRIL 30th: Coburn Free Library, Main Street, Owego, NY, 2:00 – 3:00 PM. Sponsored by Friends of the Library. Author Event and Book Signing, DECEMBER 14, 2014, 2:00 – 4:00 PM, RiverRead Books, on the River Walk in downtown Binghamton, NY; 5 Court Street next to the bridge. Come in from the cold, come in for a dramatic presentation, come in for a book signing, come in for music and light refreshments.